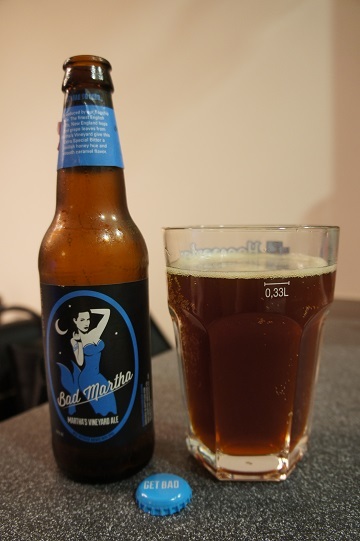 Brewer Description: (from neck of bottle) Get seduced by our flagship ale. The finest English malts, New England hops and grape leaves from Martha’s Vineyard give this Extra Special Bitter a devilish honey hue and smooth caramel flavor. Intro: Another beer brought back to Hong Kong for me as part of a filler for a six pack. 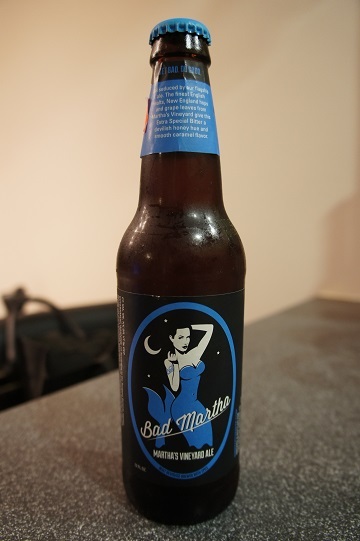 Bottled on 2 October 2014. 12oz bottle poured into a pint glass. Appearance: It poured a hazy dark amber colour with an extremely light head that disappears fast leaving small spotty lacing. Aroma: Apple and grape tea followed by caramel malts. Taste: Sweet-ish but not too sweet, grape, plum, light caramel. Mouthfeel: Medium bodied with nice carbonation. Overall: It was interesting and I have to admit better than expected. The reason being that the bottle itself looked rather dull. If I was picking, it would not be a beer I would pick off the shelf. Having said that, I enjoyed the carbonation and the fact that it wasn’t too sweet.